It goes without saying that San Francisco is a spectacular city. From the well-known tourist attractions such as the Golden Gate Bridge and Fisherman’s Wharf to an amazing selection of restaurants representing cuisines from all around the world, San Francisco is a destination city for people globally. In 2002, when CEO Jerry Kennelly searched for a location to start his new company NBT Technology, Jerry knew that San Francisco was the place. San Francisco has a fantastic local talent pool, strong sense of community, many public transportation options, and a great urban environment for employees to work while enjoying the city. 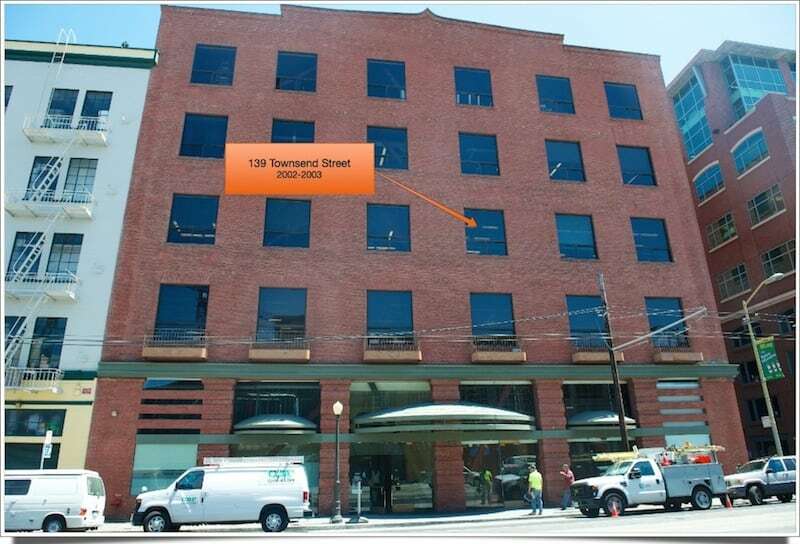 In the middle of 2002, NBT Technology was born and roots were planted at 139 Townsend Street in San Francisco. The name NBT Technology soon after was changed to Riverbed Technology. We occupied only part of a single floor at 139 Townsend, but that was ok as there were only a handful of us. After building out our early engineering team, we quickly outgrew our first office and in 2003 moved to a much larger office at 501 2nd Street. Our time at 501 2nd Street represented explosive growth, not only bringing on new employees in San Francisco, but also expanding our operations with a new office in Sunnyvale and offices around the globe from New York to London to Singapore. Our HQ at 501 2nd Street served us well from 2003 to 2007, growing our business from zero to more than $100M per year in revenue and an IPO in Sep 2006. Riverbed’s growth was exploding and once again, we were outgrowing our office and needed a new home-base. We moved to a nice big building at 199 Fremont Street. At 199 Fremont Street we continued to expand globally and work towards what would ultimately become a $1 billion annual business. 199 Fremont was a great location and was our home during a tremendous growth period between 2007 and 2014, but once again, we needed a building that would support our next phase of company growth. Fast forward to today and I am excited to share that we are officially opening our new headquarters at 680 Folsom Street in San Francisco. 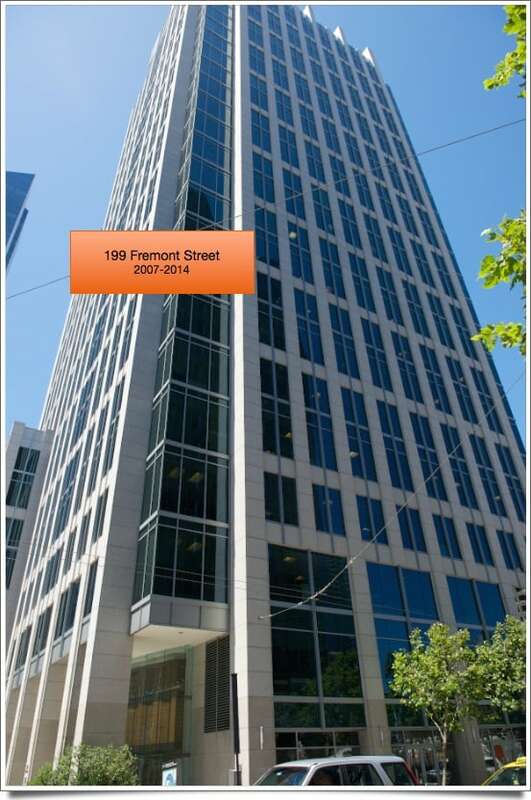 680 Folsom is our fourth headquarters building in San Francisco. Since Riverbed’s last headquarters move in 2007, we’ve grown from nearly $100 million to more than $1 billion in revenues. From the roots we planted in San Francisco, we have grown to a global company with 2,600 employees, residing in 78 offices in 40 countries. And in the last several years, we acquired seven great companies, and transformed from a single to multi-product platform company with an expanded $11 billion market opportunity in the Application Performance infrastructure market. Our new Riverbed headquarters is a great facility as we look to drive our next phase of growth. Today is a big day for Riverbed and our employees. We have a major event planned this afternoon to celebrate not only Riverbed’s growth and commitment to San Francisco from a company headquarters standpoint, but also how Riverbed has had a positive impact on the city of San Francisco with job creation, community service, and donations to support local residents in need. I am proud to work for Riverbed with all we have accomplished and the impact we have had on the community in San Francisco and globally. I have also been extremely fortunate to work in such a spectacular city for the past 11.5 years during my tenure at Riverbed. Below are some facts on Riverbed, our new HQ, and our commitment to the San Francisco community. To our customers, partners and colleagues around the world, we’re looking forward to seeing you at our new home soon. • We have 168,000 square-feet of office space spread over six floors of open work spaces that promote our open and collaborative work environment. The new building will initially house about 600 Riverbed employees, with room for us to grow. • The interior has a two-story high lobby, training facilities, snack rooms on every floor, a game room with balcony, and a top-notch Executive Briefing Center (EBC) where we can host customers and partners from around the world. • 680 Folsom is also an amazing architectural accomplishment. It’s a former PacBell building that received a complete rehab, including major seismic upgrades, a two-story addition and a sleek new skin of glass that replaces the original concrete facade. As you can see, it’s a building with a dramatic new skin of glass walls— 15-foot tall slabs, an 11-foot drop ceiling, LEED Gold certification, and great views of the city. Our new building exterior proudly displays the Riverbed logo for pedestrians walking on the street to see or for those driving across the Bay Bridge. • As we move here to 680 Folsom, Riverbed is also very proud of our commitment to San Francisco and the Bay Area, and being an integral part of the community. o We take public transportation to work – the vast majority of our employees take Bart, Muni, Caltrain to work every day. Dozens of SF employees bike to work. o We enjoy the city. While we have snack rooms at our headquarters, we made the decision not to have a cafeteria with food service. This enables our employees to get out and enjoy the city we work in every day, and frequent local restaurants and businesses. And we’re proud to participate in local events like the hundreds of Riverbed employees who participated in Bay to Breakers last month. o Most importantly, we give back to the community… both with charitable donations and our time. Riverbed’s ‘Reach Out’ employee volunteer program is dedicated to positively impacting our local communities by providing time and resources. Riverbed worldwide community investments support anti-poverty programs, natural disaster relief and disadvantaged youth. o This focus has resulted in significant donations to San Francisco-based non-profits such as the San Francisco Food Bank, Women’s Community Clinic and UCSF Children’s Hospital, among others. We’ve also recently helped support a number of City initiatives including the Mayor’s Summer Job program for San Francisco youth and Good Government Awards. And in San Francisco alone, we estimate Riverbed employees give 2,000 hours of their time each year to support community based organizations and tutoring programs. It goes without saying that San Francisco is a spectacular city. From the well-known tourist attractions such as the Golden Gate Bridge and Fisherman’s Wharf to an amazing selection of restaurants representing cuisines from all around the world, San Francisco is a destination city for people globally. In 2002, when CEO Jerry Kennelly searched for a location to start his new company NBT Technology, Jerry knew that San Francisco was the place. San Francisco has a fantastic local talent pool, strong sense of community, many public transportation options, and a great urban environment for employees to work while enjoying the city. In the middle of 2002, NBT Technology was born and roots were planted at 139 Townsend Street in San Francisco. The name NBT Technology soon after was changed to Riverbed Technology. At 199 Fremont Street we continued to expand globally and work towards what would ultimately become a $1 billion annual business. 199 Fremont was a great location and was our home during a tremendous growth period between 2007 and 2014, but once again, we needed a building that would support our next phase of company growth. Fast forward to today and I am excited to share that we are officially opening our new headquarters at 680 Folsom Street in San Francisco. Today is a big day for Riverbed and our employees. We have a major event planned this afternoon to celebrate not only Riverbed’s growth and commitment to San Francisco from a company headquarters standpoint, but also how Riverbed has had a positive impact on the city of San Francisco with job creation, community service, and donations to support local residents in need. 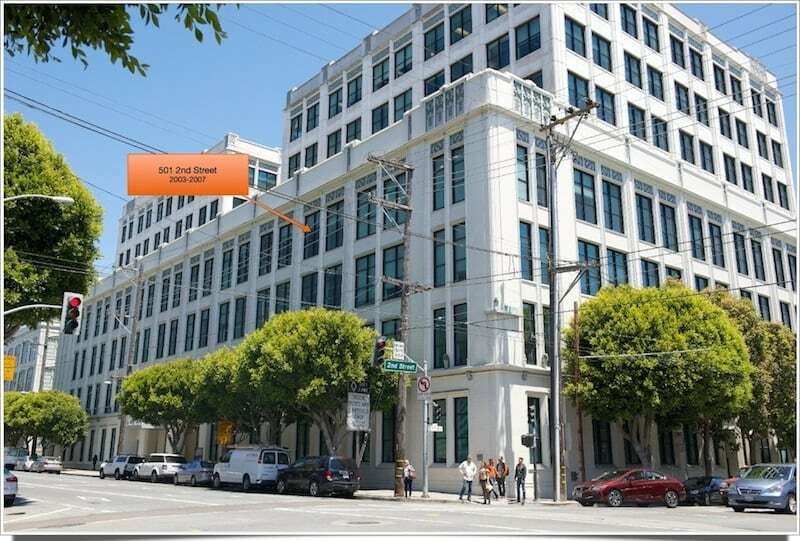 Riverbed employees will be marching, along with a high-school marching band, from our previous office at 199 Fremont Street to our new office at 680 Folsom. San Francisco Mayor Ed Lee and Supervisor Jane Kim will join Riverbed CEO Jerry Kennelly in a ribbon cutting ceremony, and we have a special announcement planned with the SF-Marin Food Bank that demonstrates our continued commitment to the community. We have 168,000 square-feet of office space spread over six floors of open work spaces that promote our open and collaborative work environment. The new building will initially house about 600 Riverbed employees, with room for us to grow. The interior has a two-story high lobby, training facilities, snack rooms on every floor, a game room with balcony, and a top-notch Executive Briefing Center (EBC) where we can host customers and partners from around the world. 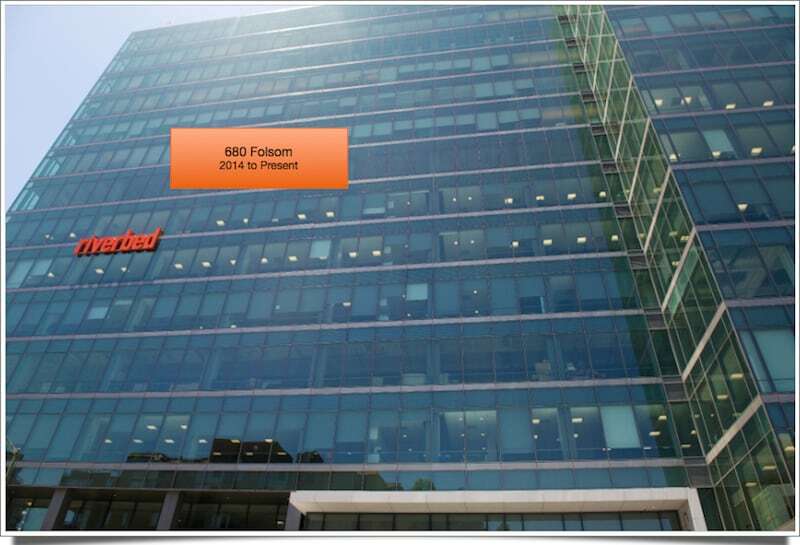 As we move here to 680 Folsom, Riverbed is also very proud of our commitment to San Francisco and the Bay Area, and being an integral part of the community. We take public transportation to work – the vast majority of our employees take Bart, Muni, Caltrain to work every day. Dozens of SF employees bike to work. We enjoy the city. While we have snack rooms at our headquarters, we made the decision not to have a cafeteria with food service. This enables our employees to get out and enjoy the city we work in every day, and frequent local restaurants and businesses. And we’re proud to participate in local events like the hundreds of Riverbed employees who participated in Bay to Breakers last month. Most importantly, we give back to the community… both with charitable donations and our time. Riverbed’s ‘Reach Out’ employee volunteer program is dedicated to positively impacting our local communities by providing time and resources. Riverbed worldwide community investments support anti-poverty programs, natural disaster relief and disadvantaged youth. This focus has resulted in significant donations to San Francisco-based non-profits such as the San Francisco Food Bank, Women’s Community Clinic and UCSF Children’s Hospital, among others. We’ve also recently helped support a number of City initiatives including the Mayor’s Summer Job program for San Francisco youth and Good Government Awards. And in San Francisco alone, we estimate Riverbed employees give 2,000 hours of their time each year to support community based organizations and tutoring programs.